I think it’s such a lovely gesture when clients have come to me with a photo of a friend’s newborn baby, and asked for an illustration to be given as a gift to the family. It’s always especially lovely to hear from the recipients too after working on a piece secretly! 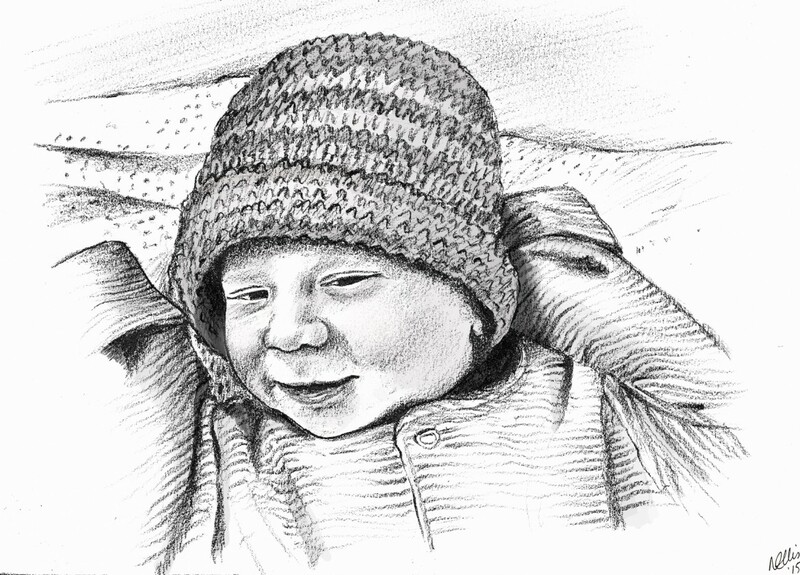 If you’re looking for a unique and personal new baby gift, or a Christmas pressie for a friend or family member, you could opt for a drawing similar to this one, isn’t he a snug little fella!